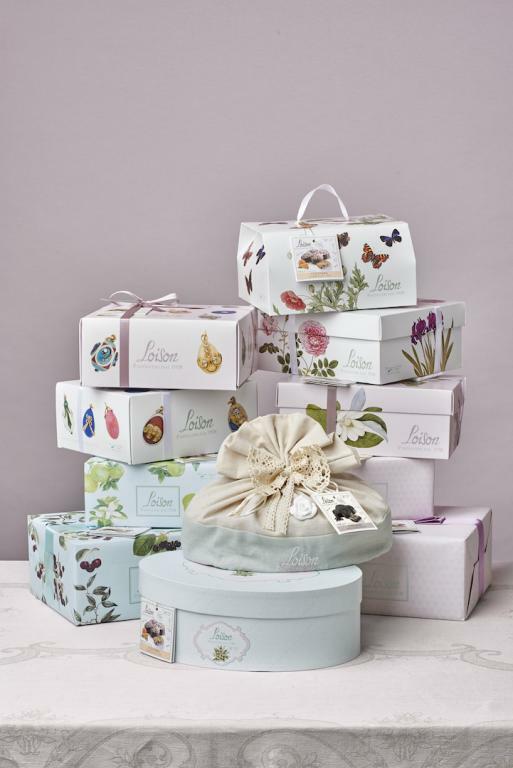 This year’ Spring-Easter theme is an extension of the journey that began with the 2018 Christmas collections. 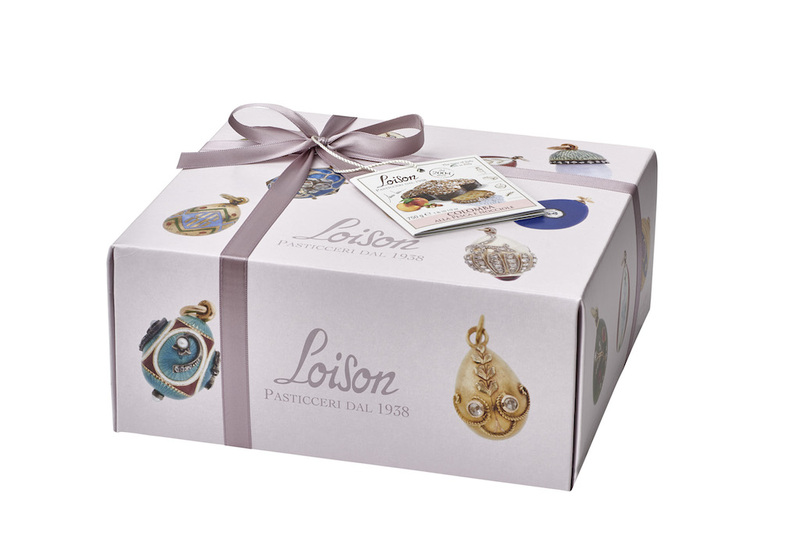 Through her sensitive nature, Sonia Pilla was once again able to transfer her emotions onto her creations, which were inspired by the works of master goldsmith Peter Carl Fabergé and his celebration of eggs. 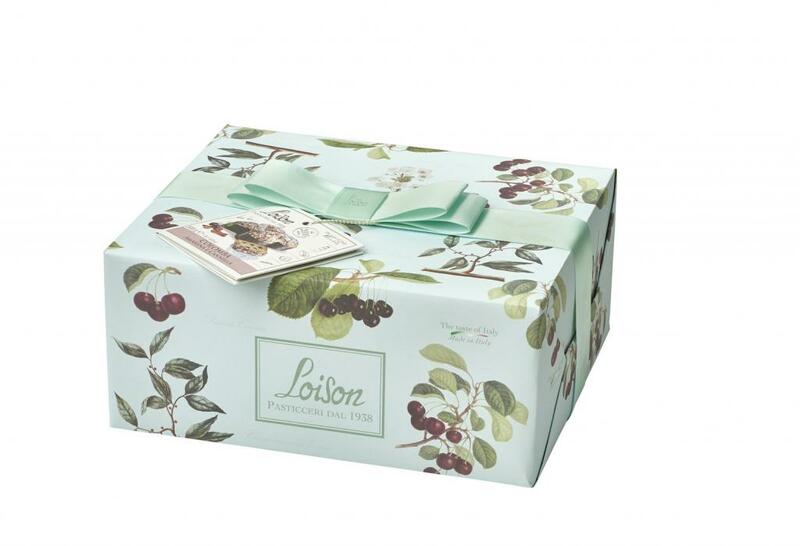 Just like fashion houses present new collections every season, so does Loison through its catalog. 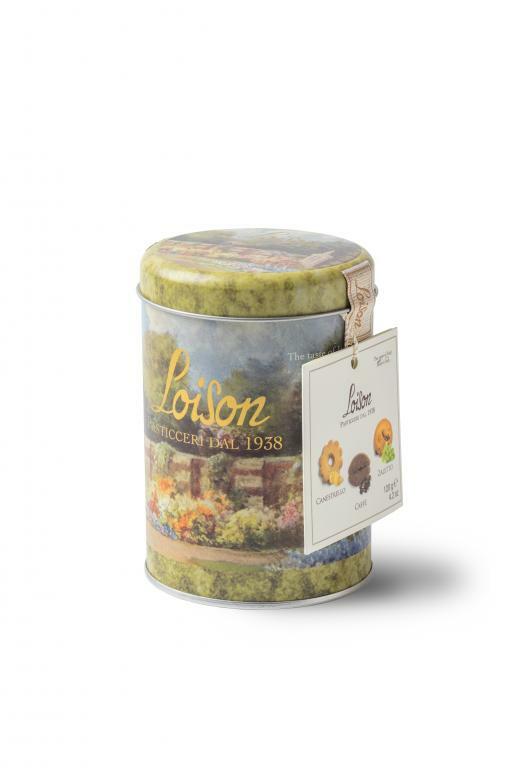 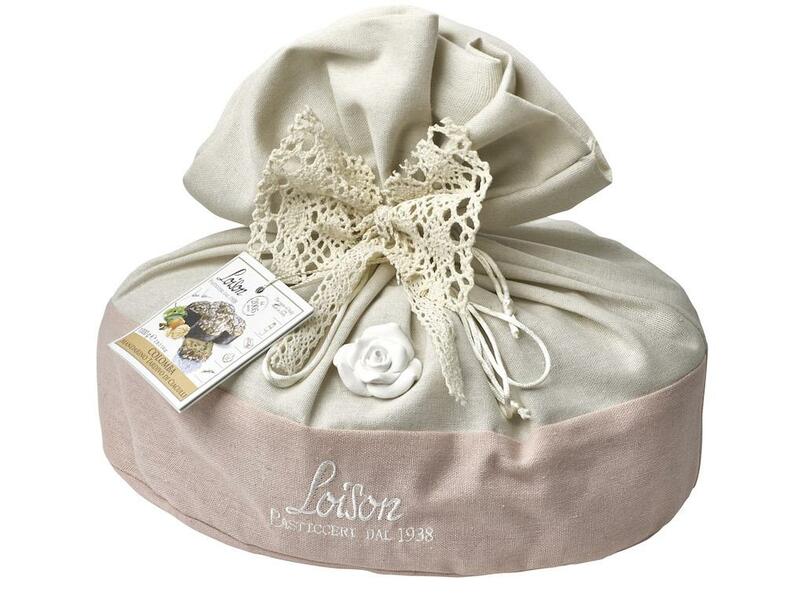 This season, the pleasure of tasting a leavened cake made by Loison extends to all of spring, not just to the Easter holidays. 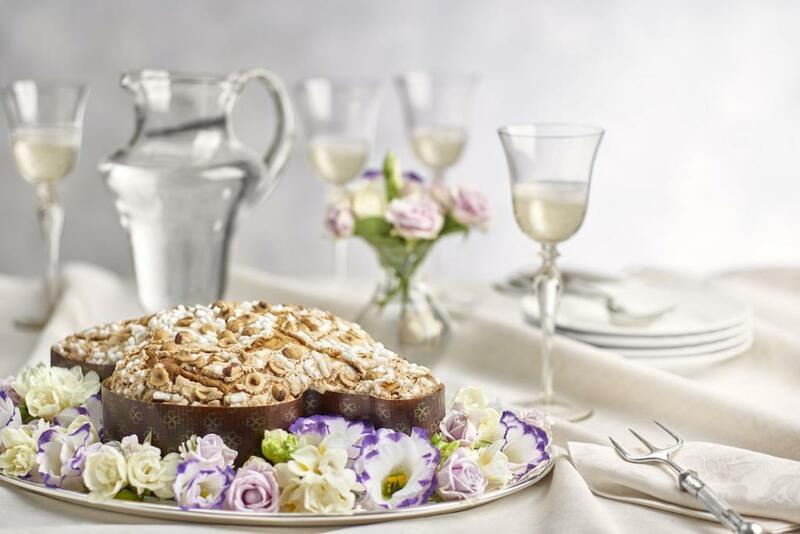 Fabergé's miniature eggs are the ultimate expression of Easter and a symbol of creation. 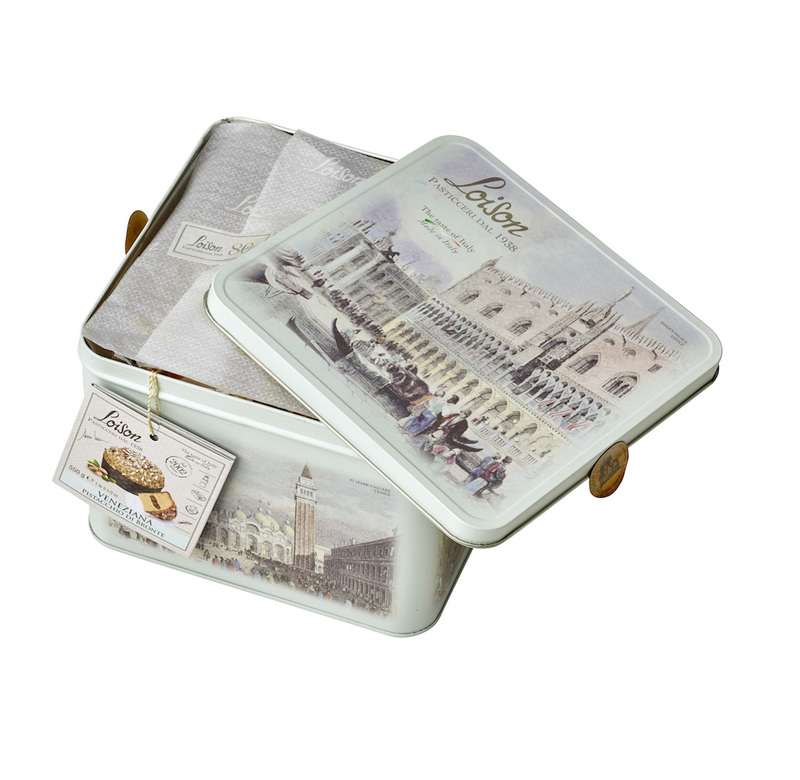 The simple design of the packaging is the perfect backdrop for the works of the great goldsmith. 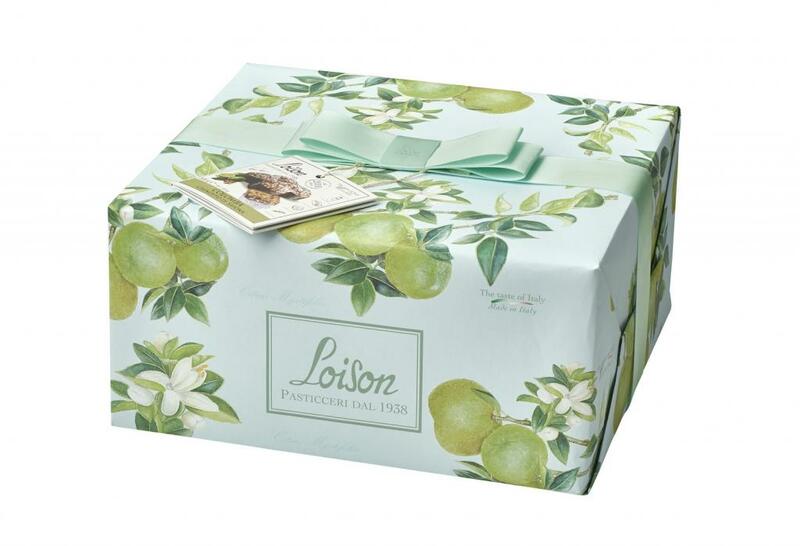 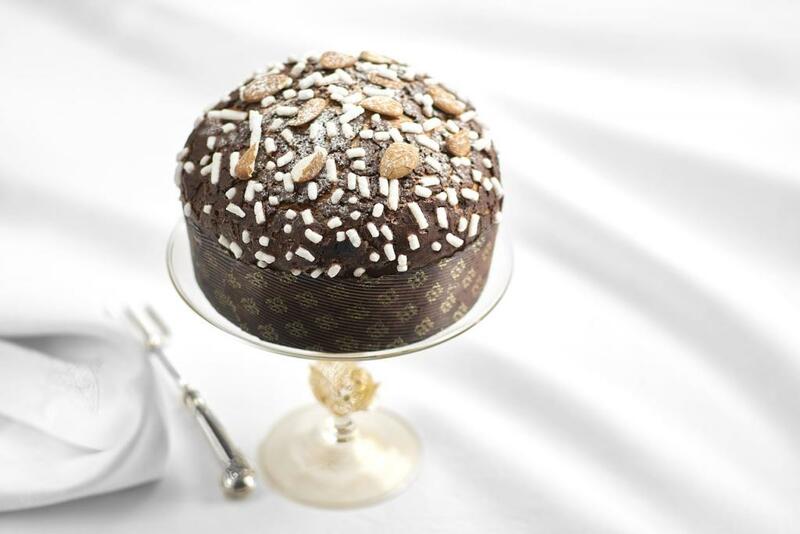 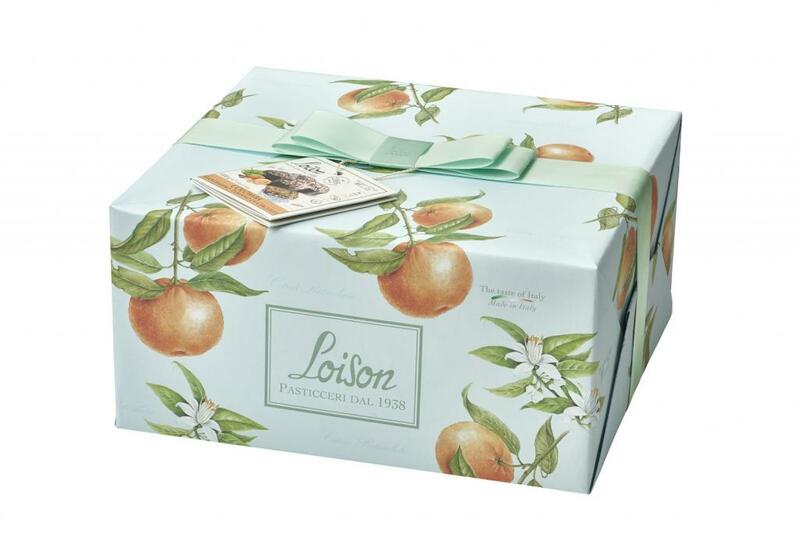 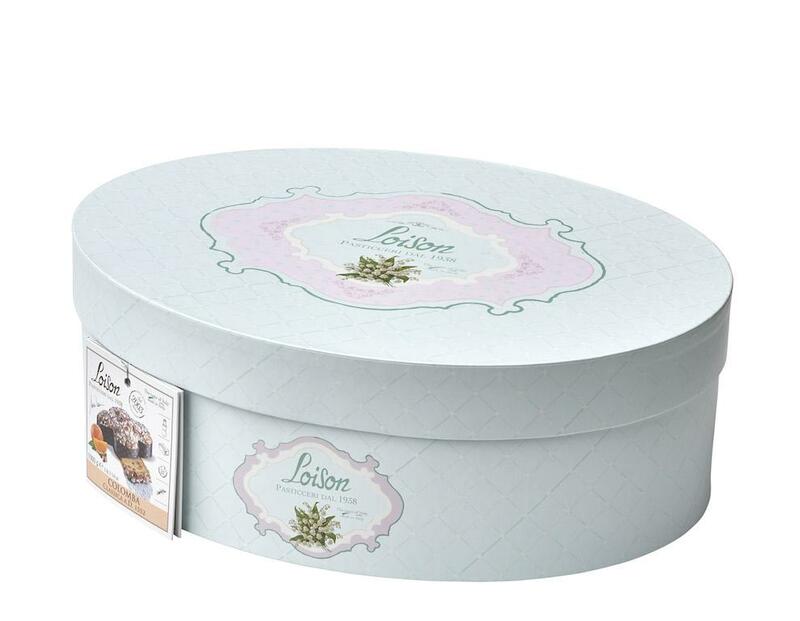 With a view to continuing innovation, Dario Loison has put together a collection that brilliantly showcases a wide array of Colomba varieties featuring fruits and flowers. 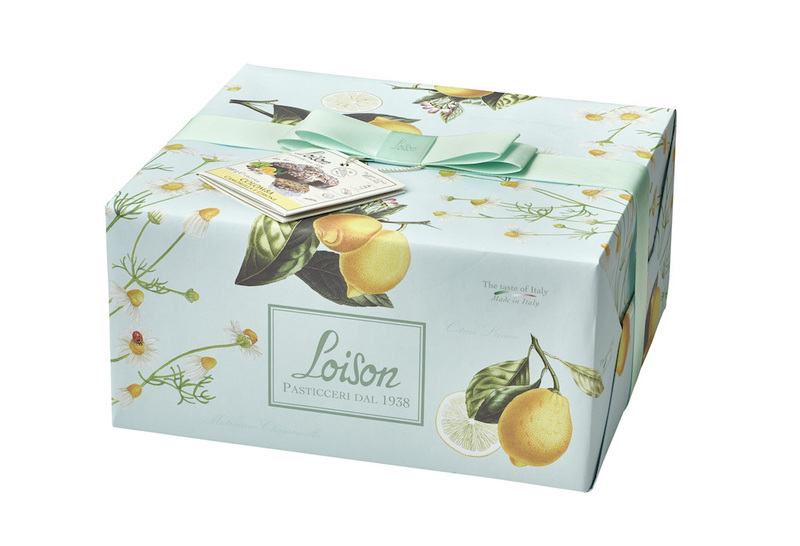 The wrapping paper looks like an elegant embroidered tablecloth with motifs inspired by historical botanical drawings found in libraries around the world. 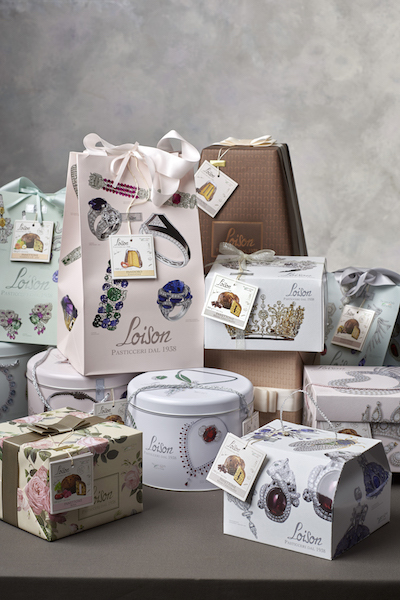 The packaging is the result of a thorough research conducted by designer Sonia Pilla. 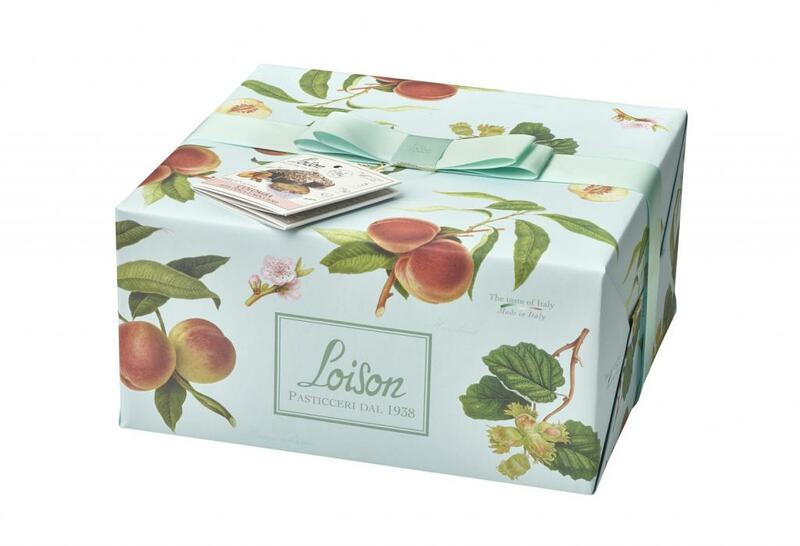 Every year, over 50% of the Loison Spring-Easter Catalog features brand-new products: in 2019, 7 of the 14 collections are all new and 3 of them sport a refreshed design. 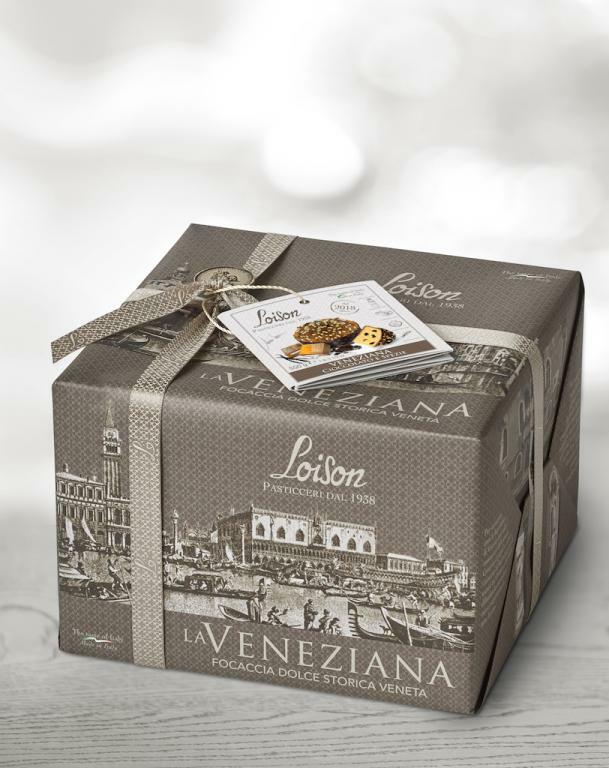 Through continuing studies and research, Dario Loison amazes his customers with endless innovation in taste: from 2000 to date, he has introduced 7 new varieties of Colomba. 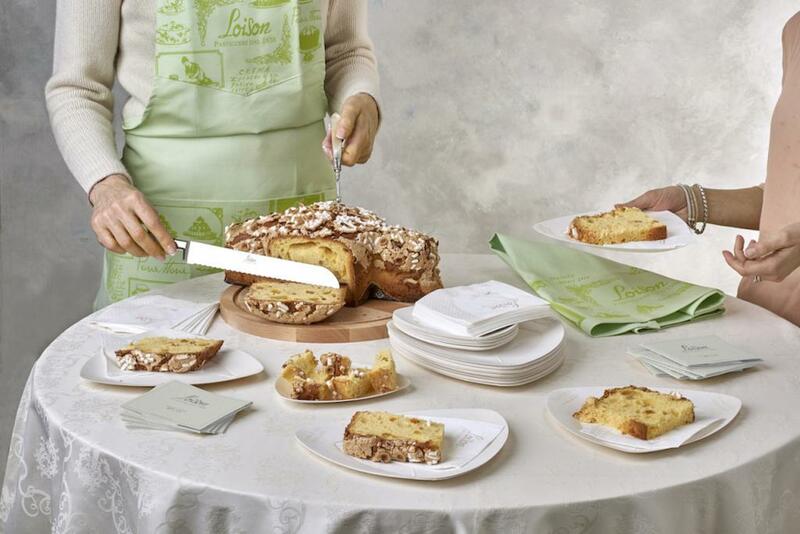 Only top-choice ingredients are added to the rich dough of this dove-shaped leavened cake. 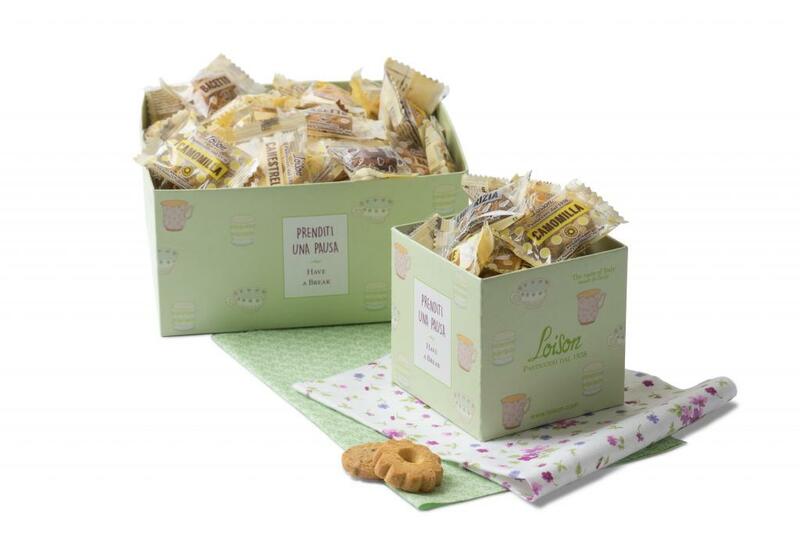 In addition to premium Hazelnuts from the Piedmont region, the array includes three Slow Food Presidia: Mananara Vanilla from Madagascar, late-harvest Mandarin from Ciaculli and Chinotto from Savona. 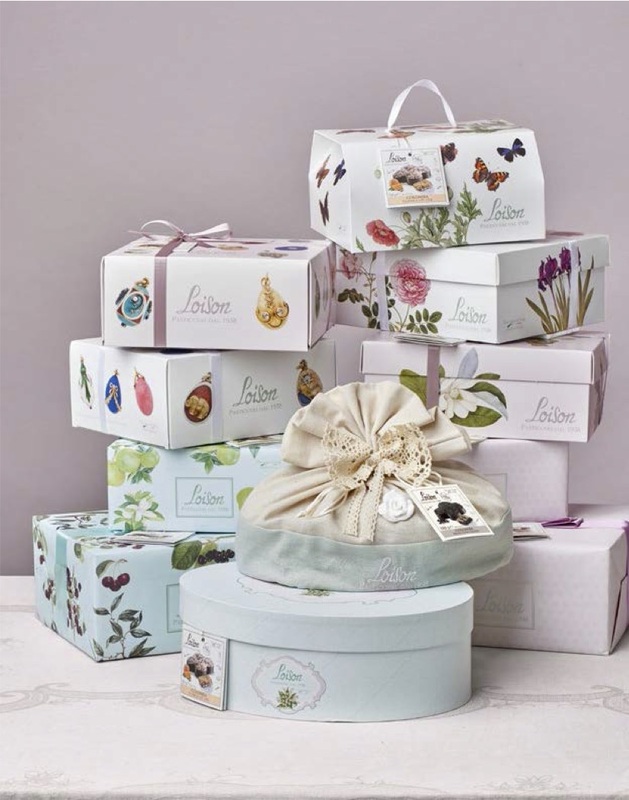 Thanks to the creative touch of Dario Loison’s wife Sonia Pilla, this year’s Spring-Easter Catalog is yet another eye-catcher. 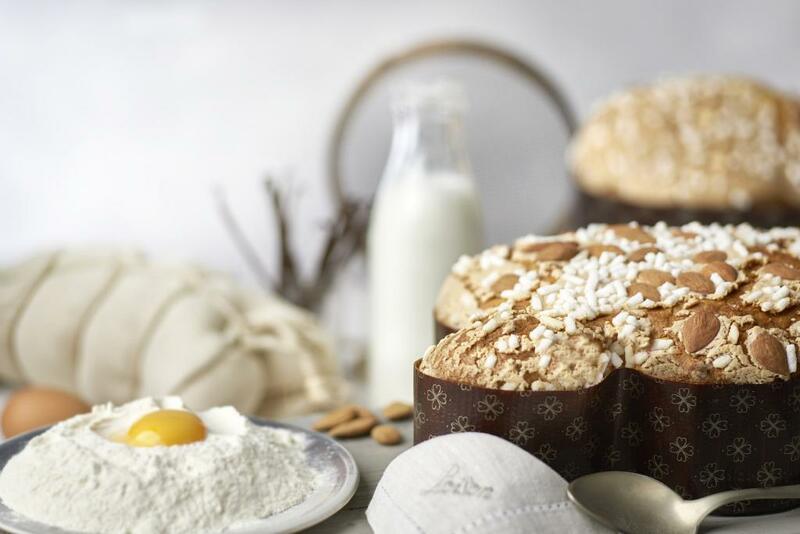 Sonia’s fine sensitivity makes dreams come true with every Colomba packaging design she creates. 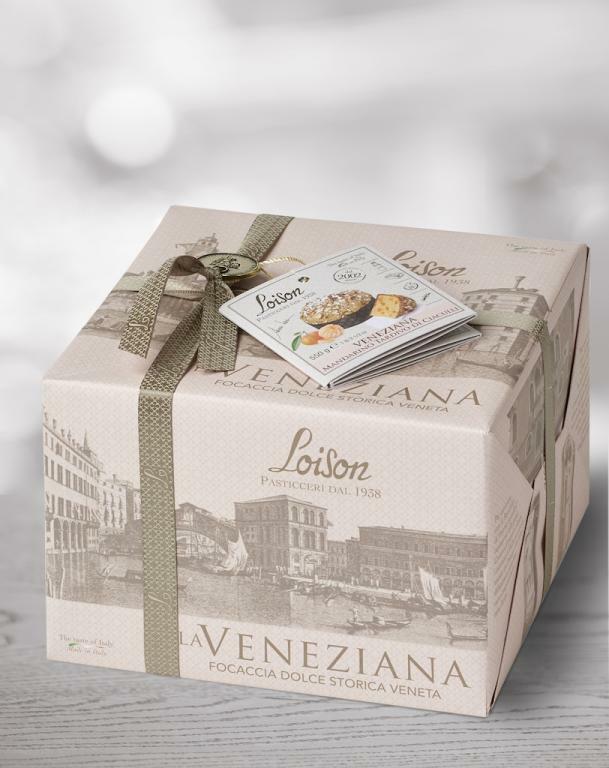 Just like the Travels of Marco Polo took us on a journey around the world, so has the Pastry Chef from Costabissara, Vicenza, with his new exotic varieties of Veneziana: “Apricot & Spices” and “Chocolate & Spices”. 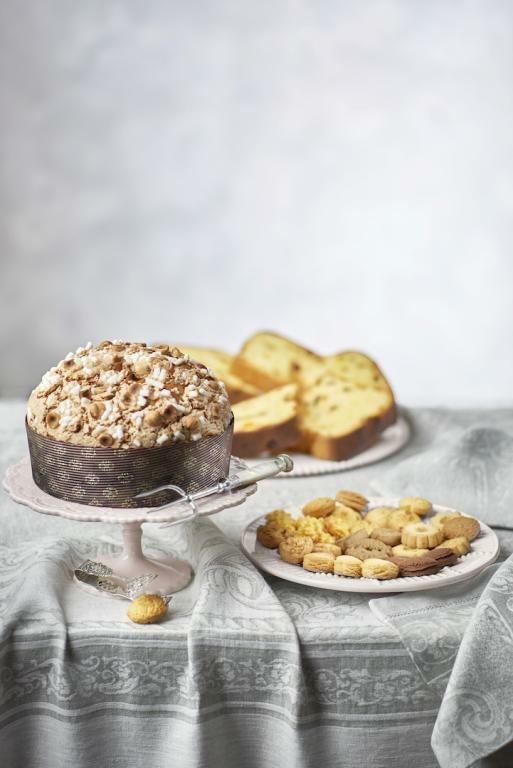 Featuring ingredients such as vanilla from Madagascar (a Slow Food Presidium), prized black pepper, turmeric from Asia, Tonka beans from South America and choice single-origin cocoas, these new sweet breads are a tribute to the Most Serene Republic of Venice and its seven centuries of peoples, cultures and tastes. 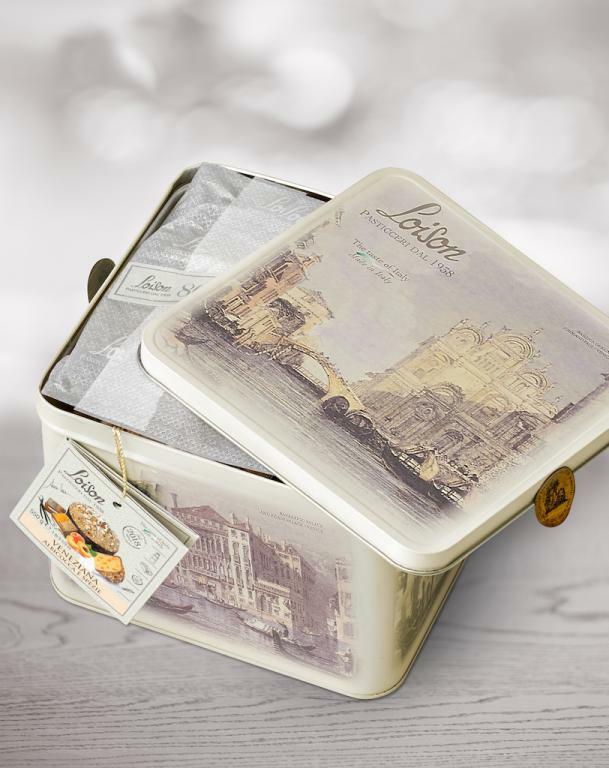 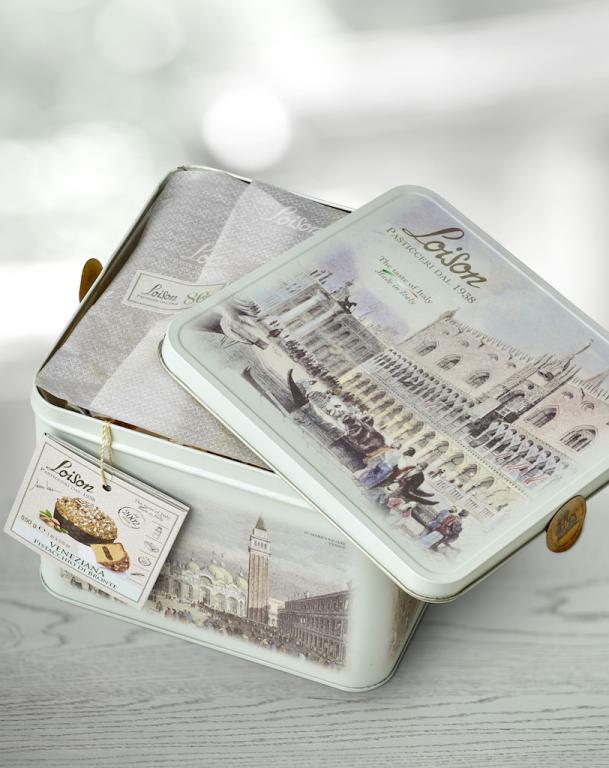 Equally special is the packaging, which includes 6 new tin boxes by “Sonia Design” featuring images that evoke the atmosphere of the Venetian lagoon, of lavish traditions and magnificent architecture. 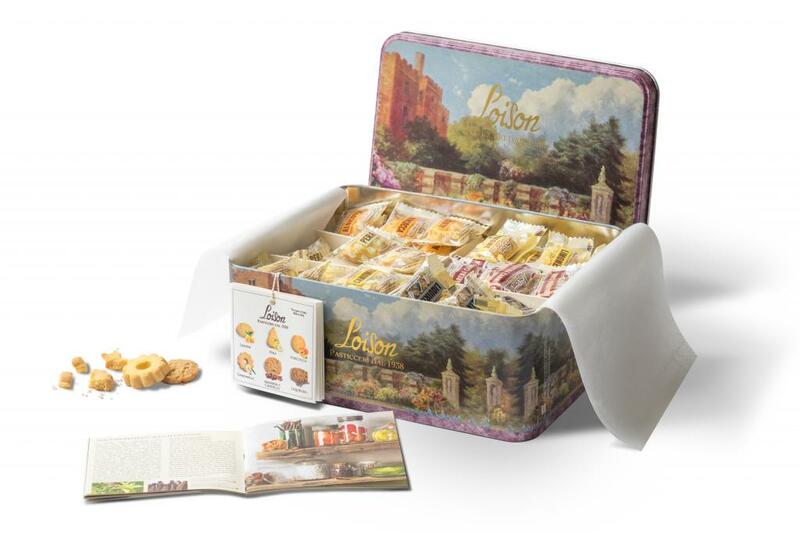 The images are taken from historical postcards now on display at the Loison Museum. 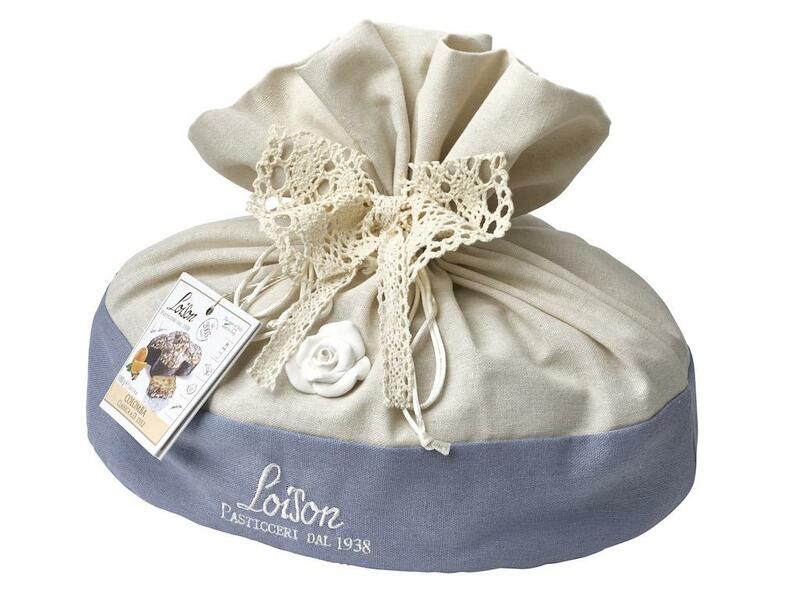 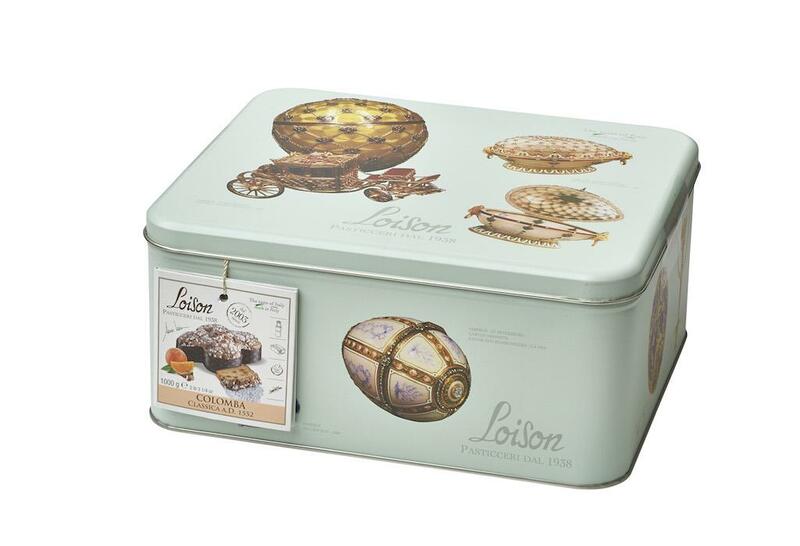 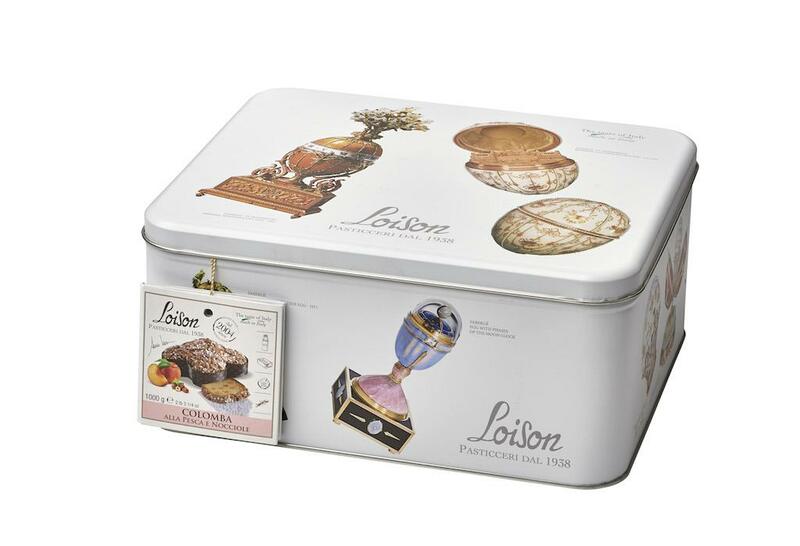 The “concept” behind these Made in Loison cookies, prepared with carefully selected ingredients, includes an innovative and effective sales service, thanks to the “fill-it-yourself” and the display boxes.